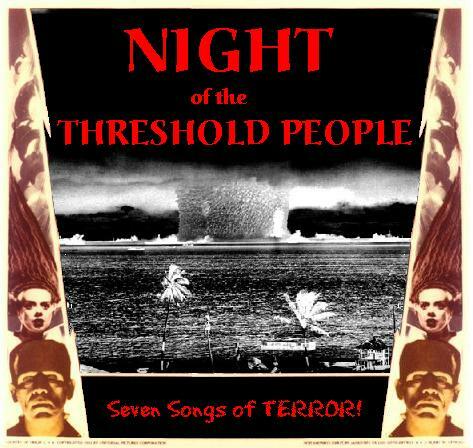 For those who may have missed it, the front cover art for Night of the Threshold People has finally been posted to the download page, and the PlagueDream staffer responsible for the error has been recycled (I'm beginning to lose faith in our vat-grown personnel project, despite our Mad HR Director's assurances). What's Going On at This Plague of Dreaming? New Release from The Threshold People!